Between 10:00 and 13:00 hrs. you must go to Calle Esmeralda 661 in Puerto Natales, in this place we will give you the vouchers that you must present in all the shelters and the trekking map. Then we will take the bus at 14.30 hrs. 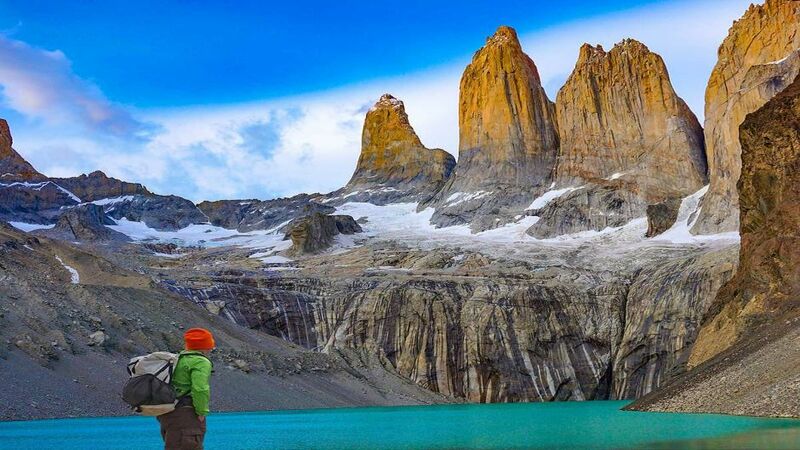 to go to Torres del Paine National Park. At approximately 4:30 p.m. we will arrive at the Central Sector refuge. The trekking begins at the time you decide, obviously for light and time, we recommend leaving as early as possible, to go to one of the most emblematic places of the Park, the Mirador Base Torres. 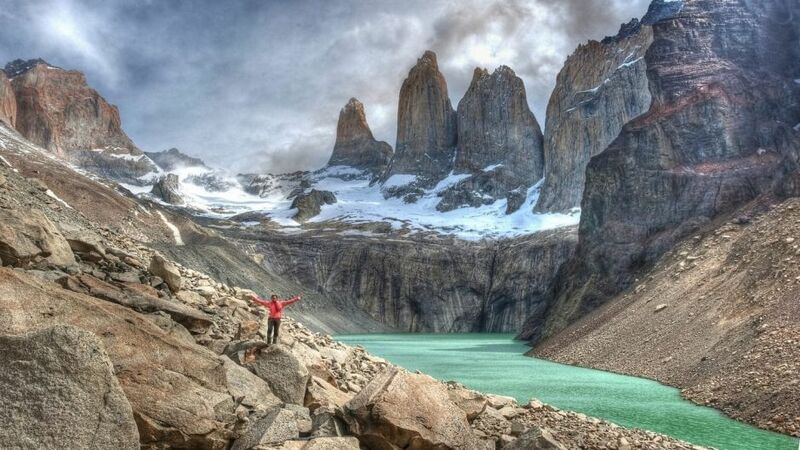 During the first part you will walk through the pampas and cross the Ascencio River, then go up about 3 km until you reach the Paso de los Vientos, which will give you incredible views of the valley and lakes. You will continue until you reach the Chilean Refuge, then go into a forest of lengas and reach La Morrena, where the hardest part of the trekking begins. You will walk along a rocky path until you reach the spectacular Mirador Base Torres. Later you will begin to descend towards the Central Sector to have dinner and sleep. 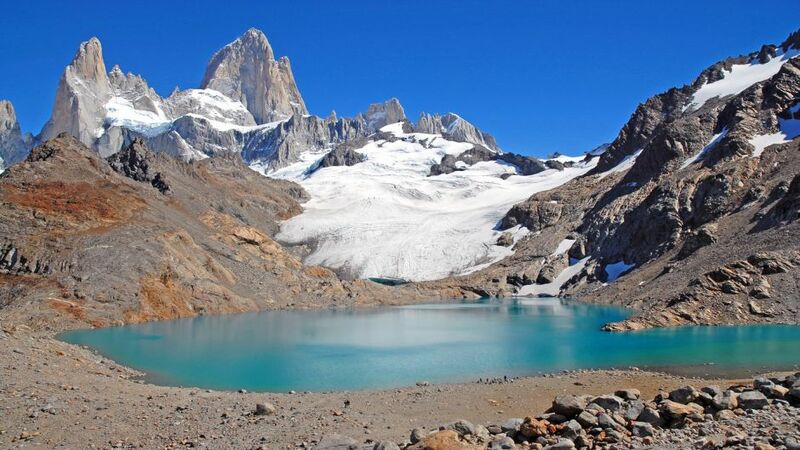 You will walk about 13.5 km bordering Lake Nordenskjöld, Cerro Almirante Nieto and the impressive Cuernos del Paine. During the trip you will have beautiful views of these, hanging glaciers, lakes and areas where you can appreciate the abundant flora and fauna of the area. You will get to dinner and sleep in the French Sector. This day begins with one of the most important icons of the circuit, The French Valley. Very early you will start with a gentle walk until you reach the Italian Camp. From there you will start the ascent (about two kilometers) between forests through the French River Valley. 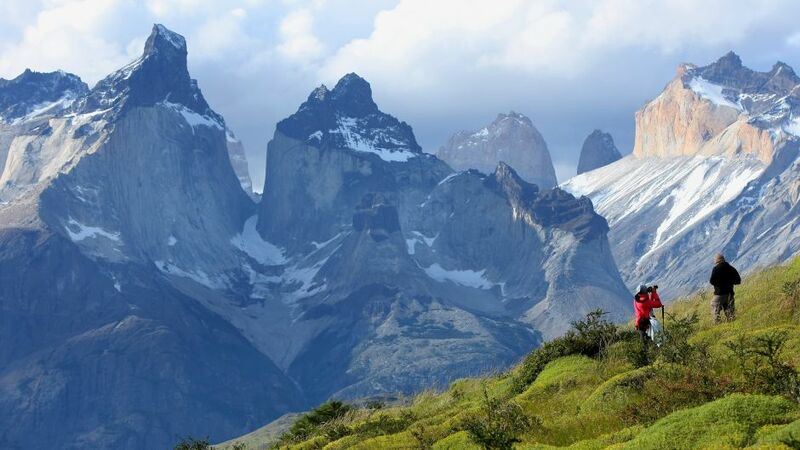 Continue until you reach the French viewpoint, from where you can have one of the most breathtaking images of the circuit; the view towards the valley flanked by the hills Paine Grande, Cathedral, Leaf, Mask, Sword, Shark Fin and Northern Horn. To be without words. After that show, you will begin the descent towards the Paine Grande Sector. Duration: 8 to 10 hours, Distance: 20 Kms. This day you will reach the third milestone of the circuit, a place that offers an unforgettable postcard of the park, the wonderful Gray Glacier. The road begins along the Paine Grande Hill, the highest point of the Massif (3050 m), with incredible views towards its hanging glaciers. Walking between Ñirres, Coigües and Notros, you will reach the first Mirador del Lago Gray where we will see numerous pieces of glacier floating in it. We will continue walking with the imposing view of the Gray Glacier, until arriving at the Gray Refuge. 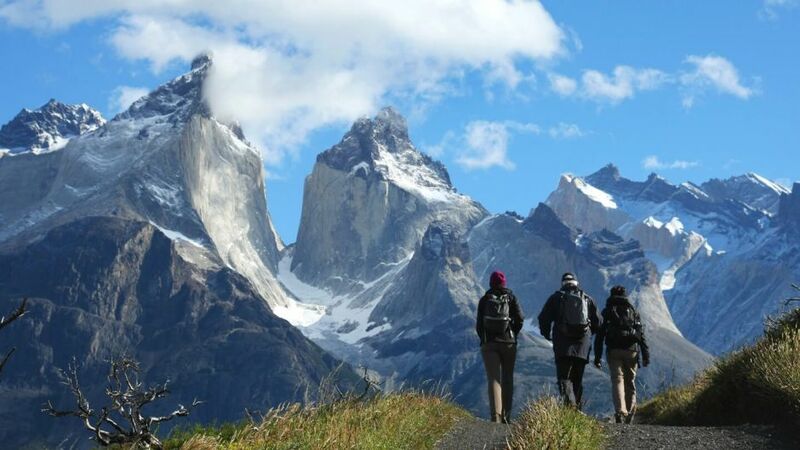 Then you will return to Paine Grande Sector where at 18:30 you will take the catamaran that will take you to Pudeto. There will be the bus that will take you back to Natales. Duration: 8 to 10 hours, Distance: 22 Kms. 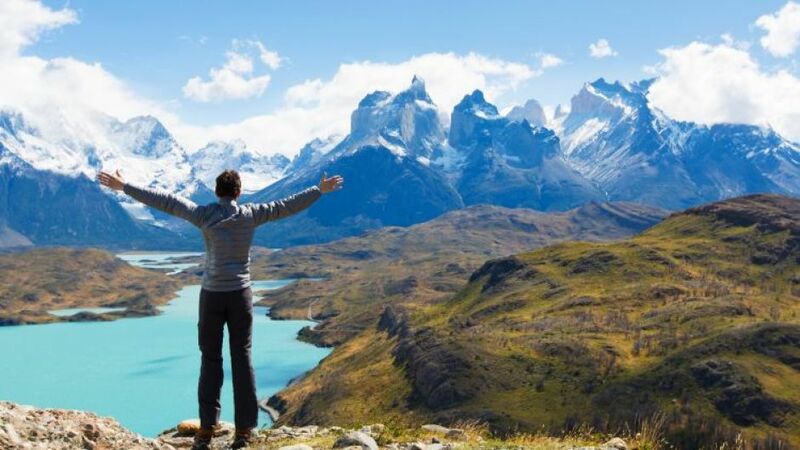 Transfer by regular bus from Puerto Natales to the Torres del Paine National Park, round trip. 2 nights accommodation in Sector Torre Central. 1 night in Sector Paine Grande. Refuges include armed bed with the exception of French Refuge (sleeping bag). All meals: breakfast, lunch (Lunch Box) and dinners. Lunch Box day back to Puerto Natales.